The sermon from October 11, 2015, at The Patterson Avenue Baptist Church is included in this blog post (both the video and the manuscript). The sermon is titled: “Short Cuts and Easy Answers” and is based on Jesus words recorded in Mark 10:17-31. 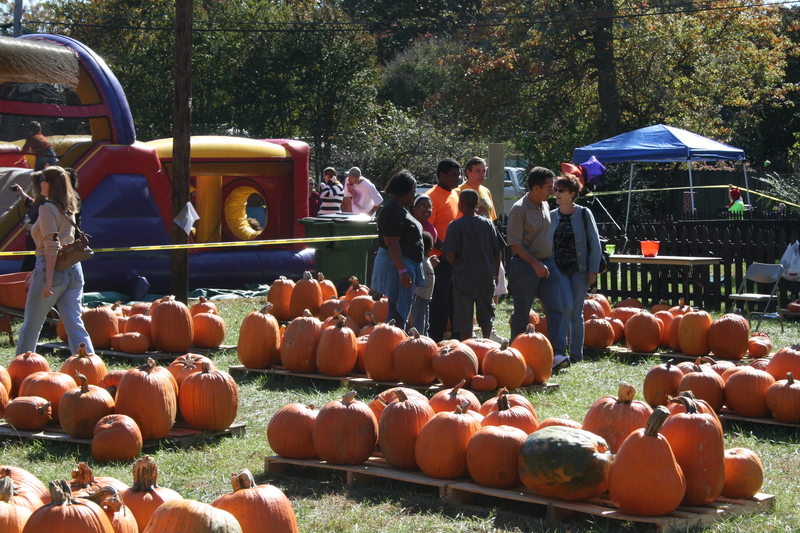 While I have your attention, I’d like to invite you (if you are in the metro-Richmond community) to attend our Fall Festival this coming Sunday, October 18th, from 2-5PM. 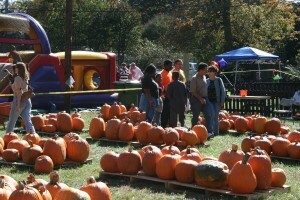 We typically have well over 1000 attend this fun filled family festival. There will be a petting zoo, game truck, food trucks, and a lot more fun. There is no admission cost…but we are collecting canned good from those who can share, all going to the Central Virginia Food Bank. The sermon video and manuscript is below. It seems that Christmas is starting earlier and earlier every year. Did you know that there is a radio station here in Richmond that is already broadcasting Christmas music? We haven’t even got to Halloween, yet, much less thanksgiving. But this station is already broadcasting Christmas music. And most of the department stores have already set out their Christmas displays. The reason for all this is to get people thinking about all the gift purchases they will need to make for friends and family. Many of us are already out there trying to get gift buying ideas. You’d go to the department store to look around, but you were not ready to make a purchase. You go to look at the displays and evaluate what might be the perfect gift for that special someone in your life. Now all that is fine until the store clerk appears. It happens in the next store as well. That means you are not ready to commit, you are checking out your options. You want to think about it, mull it over, and explore alternatives. Most of the times you are just looking at the price tag wondering if you can find a better deal. In that frame of mind, you don’t want to deal with any annoying salespersons. But sometimes they just won’t leave you alone. It’s like looking a short cut or easy answers. That’s what we want out of life. That’s why so many fall prey to shady “Get-rich-quick” schemes or those “Miracle Pill” advertisements that tell us we can lose weight without the effort of exercise. In such a fast-paced, high-tech, instant gratification society, we don’t like the idea that some things take time, energy, and effort. So we spend our time “just looking around” for short-cuts and easy answers. You even see this in the church. Folks in the church often seem to be shopping around for easy answers and spiritual shortcuts. They are looking for the best deal on discipleship. Enter the “Rich Young Ruler.” He is looking for easy answers to tough questions. He’s looking for a short cut toward experiencing intimacy with God. And if there is a cost involved in the process, he wants the best deal possible. Despite all that his man had going for him – the wealth, the influence, the power, the religion – we discover that something was still missing. He is not satisfied. He was empty, needy, and searching. He is hungry for God. The term “eternal life” here is more about a quality of life and connection to God than it is about a length of existence. This creature wants is to know his Creator. He wants an intimate connection with God. He wants his life to mean something. It sounds simple, but it’s not! He is not asking just about how to live a long life! Nor is he asking for directions to the stairway to heaven. He SEEKS purpose. He wants his life to mean something. We ask this type of question all the time. Why did Jesus reject this label? Maybe Jesus sensed some ulterior motives in the man’s request. Perhaps he sensed that it was just flattery on the man’s part, calling Jesus “good” in order to get a “good” answer to his question. Maybe he sensed the guy was seeking a shortcut and simple formula for dealing with life’s perplexing questions, one of those easy to duplicate, paint by the numbers patterns for spiritual success. These could all be part of the reason Jesus responds as he does, but I think there is something more. I think Jesus is rejecting the notion that he is merely sage, soothsayer, or philosopher. Jesus is not the author of an advice column in the local newspaper. He is not a first century “Dr. Phil.” Jesus brings more than pearls of wisdom to help us make it through the day. Many people want a simple, formula driven, no stress, no strain, don’t-rock-the-boat, no-cost kind of religion—and that’s fine, except for one thing. That will never BRING us into INTIMACY WITH GOD. It will never satisfy your deepest spiritual longings and hunger. Jesus points the man away from short-cuts and easy answers. Jesus says, “No one is God except God!” In other words, Jesus says: DEAL WITH GOD! There are no short-cuts and easy answers in dealing with God. Do you remember the Old Testament story about Jacob? He’s held up now as a great hero of the faith, but he started out at a scoundrel, a cheat – a real jerk. Yet despite his shortcoming, God never gave up on him. That’s what God is like. God pursues us. God never gives up. God constantly works to break through the layers of whatever it is that blinds us to the reality of His grace. The Bible tells us that God finally cornered Jacob one restless night. In a fitful dream, Jacob has a wrestling match with God. God wins. When the night was over, Jacob was a changed man! He walks away from his encounter with a limp—humbled by his encounter with God. He also walked away knowing God, knowing his life mattered, knowing there was a reason for his existence. But it took that dark night of the soul for him to experience this revelation. It took God wearing down and breaking through all of Jacob’s substitutes solutions and inadequate resources. Maybe what you and I need is a wrestling match with God. Maybe we need to wrestle with God over the sinful behaviors and bad attitudes of our lives. Maybe we need to deal with God about misplaced priorities, spiritual laziness, and our desire to have our way rather than God’s will. Maybe we need to limp with the humility that realizes we don’t have it all as settled as we like to pretend. Maybe we need to meet in the middle or the proverbial squared circle to deal with our propensity to gravitate toward short cuts and easy answers. Just know that you will walk away with a limp, wounded by the process of being broken before God – broken down by a love and grace that is seen as the only sufficient resource for living. You got to hand it to the guy. He was a good man – morally upright and extremely religious. And it’s not that he was unwilling to make a sacrifice. He was making sacrifices all his life. But there were some limits, and that was the fatal flaw. If you want intimacy with God—to know God’s purpose, direction, and meaning for your life, you can’t just give to a point. You have to give it all! Hold nothing back. The man walked away very sad and disappointed. He was willing to give a lot, but not everything! I heard a familiar story recently. It is a story about a family living in a beautiful home—adorn with many fine and expensive furnishings. In this home there was a young boy who got his hand caught in a vase worth thousands of dollars. For hours the parents did everything they could to get the boys hand freed from the vase, but to no avail. Finally they needed to break the vase to free the arm. That’s when they discovered the reason for the trouble. Clutched in the boys fist was a shiny quarter he seen at the bottom of the vase. A young man comes to Jesus. He wants to a short-cut to knowing God. He wants an easy answer and a quick solutions. The man hug his head and walked away very sad. He refused to let go of his insignificant earthly treasures. He refused to follow Jesus. He missed the wealth of the kingdom! What entangles you today? What hinders you from knowing God as a follower of the Lord Jesus Christ? Let it go. That’s the challenge today. It won’t be easy! It might mean some sleepless nights wrestling with God. You might leave the encounter walking with a limp. But in the long run, you will find Divine answers to the ultimate questions of life. You will find your calling – your reason and purpose for living. Most important of all, you will experience intimacy with God.